Cúirt na Coiribe increased their average rate by 18% for the coming academic year. The increase will mean an additional cost of €1,000 for students looking to rent in Cúirt na Coiribe. 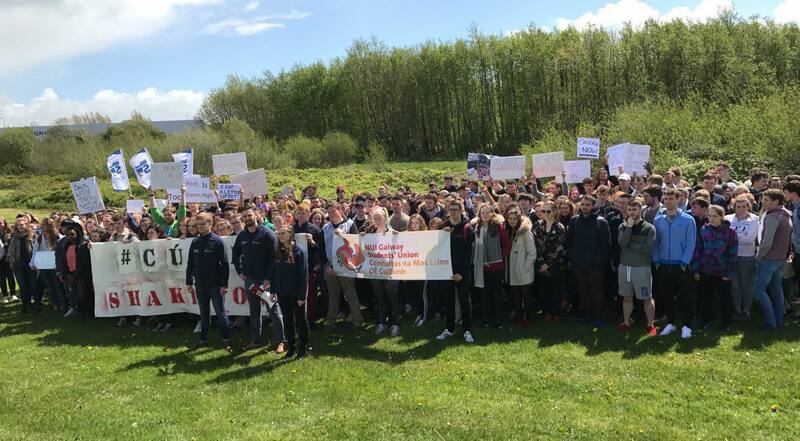 SU President Lorcán Ó Maoileannaigh said that the decision was made following advice from public representatives, University colleagues, and their own counsel. “We hope that this case will send a strong message to other student accommodation management companies across the country that students and their families will not stand by and allow their education to be put at risk due to the ever increasing cost of accommodation imposed by these companies,” said Ó Maoileannaigh. “NUI Galway cannot become an elitist University only accessible to those who can afford to absorb the ever rising cost of rent”. The Residential Tenancies (Student Rents, Rights, and Protections) Bill 2018 put forward by Eoin Ó Broin passed in May with the aim of giving students living in specific accommodation the same protection as tenants, including protection against high yearly rent increases. “Even before the increase, living in student accommdation was going to be pretty expensive for me,” said NUI Galway student Aoife Roche. “I had been looking to stay with a few friends next year, one of which had stayed in Cúirt last year, but when the prices went up two out of the four of us decided against it”. Protests followed the announcement back in May, with a petition opposing the increases gaining over 4,000 signatures. “With the increase it just seemed ridiculous to be asking my parents for so much money just to live, considering the college term is so short as well,” said Roche. The SU said they will “continue to fight to hold management companies to account through collaboration with all relevant officials and parties”.